As organisations try improve the efficiency of company processes, they rely on Junocontent’s experience in the field of enterprise content management to complete the task at hand. Our consultants expertise and experience allow them to help you in modelling your processes quickly. After the modelling process, they will map out and implement any possible improvements. Many internationally renowned organisations have been helped by our skilled employees, who aided them in meeting their enterprise content management needs through a combination of strategic models and technology. 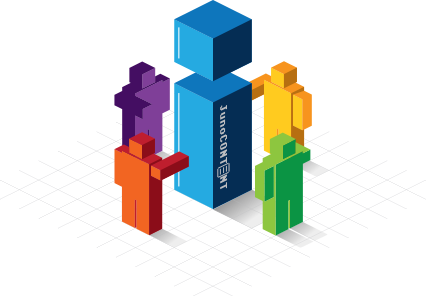 JunoContent is a premier content management specialist in Europe. Our skilful employees have helped many international clients meet their ECM needs through the use and implementation of our strategic models and technology. For over 18 years, our experts have helped clients meet their ECM needs through a unique combination of strategic advice, technology, project implementation and application management. To deliver Product Lifecycle & Enterprise Content Management professional services and solutions that exceed our customer\'s expectations in performance, value, ease-of-use, innovation, reliability and security. Business workers are becoming more and more aware of the possibilities that an innovative combination of technology and software can offer them. A true ECM solution will bring content to the user on the user’s terms. This will include elegant integrations with existing (ERP, CRM) systems, enhanced access through mobile devices, and presentation of content through portals and other user defined interactive spaces. JunoContent is and has been a licensed IBM Business Partner, Novell Partner and Kofax Solutions Provider for several years. The level of trust these partners have invested in us is typical to the service level that we can offer to our clients. Our clients opinions are of great importance to us and we would like you to undergo the same experience as our previous clients. You can read some of our testimonials to get a preview of what JunoContent can do to present you with satisfactory solutions. JunoContent is and has been a licensed IBM Business Partner, Novell Partner and Kofax Solutions Provider for several years. Information is essential to many companies, whether this information is used in your company’s primary processes or functions as a means of support. Therefore, information should be easy to access, share and edit, but most of all: it should be stored securely. 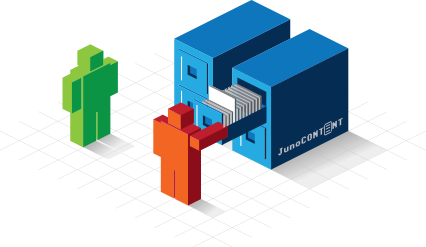 JunoContent is a specialist in the field of Enterprise Content Manager and many clients have already been provided with our ECM solutions which are not only high-quality, but also very user-friendly. Our ECM solutions are focussed on providing the right information at the right time in a secure and user-friendly manner. If you are not satisfied with the results, we will keep on fine tuning this process until the end results are satisfactory. Nowadays, there is an abundance of information about business processes and previous company decisions. Many decisions are based on this information, but what happens if the amount of information becomes unmanageable? The decision making process will take much longer, costing you time and thus money. Business Intelligence offers you a simple solution. Company information is carefully parsed in to databases which will help you retrieving all the information you need in a structured way. As a result, the decision making process will not be as time-consuming as before allowing you to focus on your core-activities. Enterprise search collects various information from different sources and combines this information in to structured search results. Similar to Google, it is possible to search for information without knowing where it is stored. JunoContent offers every organisation a tailor-made search engine. 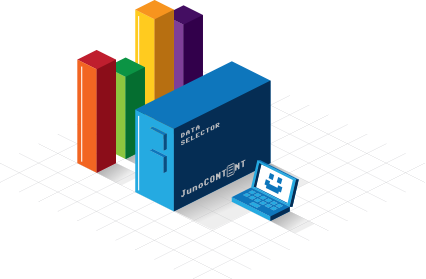 JunoContent’s vision on enterprise search is that all available information in documents, e-mails, social media and reports simplify the work of the modern-day knowledge worker and thus increase his or her efficiency. Here you will find a short summary of some of our reference cases. If you are curious whether companies in your branch or sector have already called upon our services, please do not hesitate to contact us.